Posted April 5, 2018 & filed under General News. Izzy Taylor, Britain’s most successful female event rider of 2017, is offering businesses or individuals a major sponsorship opportunity following the end of her 10 year association with KBIS Insurance. Izzy, whose familiar pale blue cross-country colours are synonymous with her name in the eventing world, seeks a headline sponsor as she continues to target global success over the next decade. 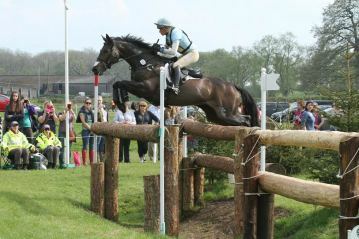 It is a hugely exciting time for Izzy due to her fantastic horse power and support team. Well positioned for future success at the highest level for next decade.